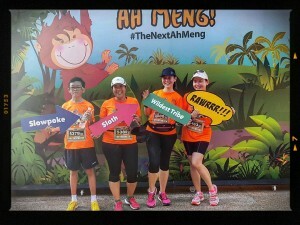 Race Review: Safari Zoo Run 2016 [5.5km] (by rebekahong83) | JustRunLah! 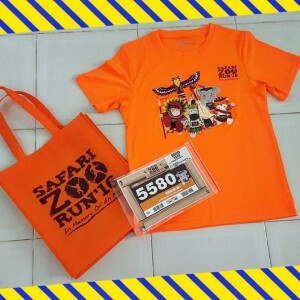 The Safari Zoo Run was held over two days, the 27 and 28 February 2016. 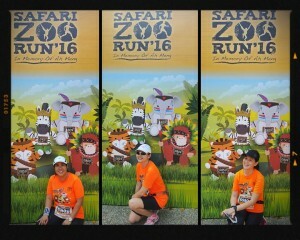 This was my first run event for 2016 and also the very first time that I was joining the Safari Zoo Run. 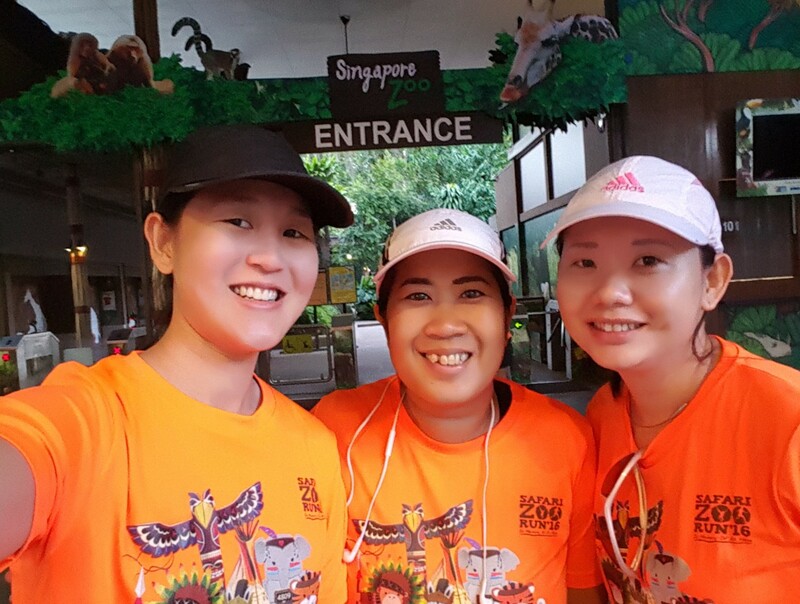 My friends and I had entered the 5.5km Safari Zoo Challenge which was on the 28 February 2016. The atmosphere at the zoo was lively, everywhere was buzzing with activity and excitement. I like how the organisers had catered enough restrooms for everyone as the queues moved really fast! We took some shots around the zoo entrance area before making our way to the holding pen. It was like a sea of orange at the START Point. We did our warm up exercises while waiting for the flag-off. We were in the first wave and were promptly flagged off at 0730hrs. All the runners enthusiastically raced forwards. As this was not a competitive event, the crowd was not aggressive at all. I like the fact that it was a relaxed atmosphere! I loved that as I ran, I could see the zoo residents in their homes. It was a welcome sight to see these lovely creatures in the morning, it was as if they were wondering why there were sooo many people running past! I enjoyed seeing places round the zoo that during normal days you would not get to see. Eg. the back roads that connects the Zoo, the River Safari and the Night Safari. The volunteers were excellent! They performed their jobs really well by cheering on the runners as they past. 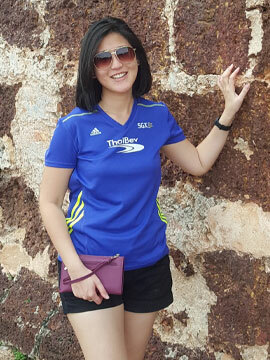 There was sufficient hydration points supplying both water and isotonic drinks. The volunteers at these stations were very efficient at handing out the drinks to them. Two thumbs up on a job well done! The difficult part was nearing the FINISH point, there lots of up slope but it was a good challenge and workout! As I neared the end, I could hear cheering and I was greeted by two of the Safari Zoo Run Mascots. I gave it my all and finally I crossed the FINISH line! I was promptly offered a drink as I moved to a holding area to wait for my friends. I like that we could stay around and not be chased away and take photos of the friends who were just finishing the race. 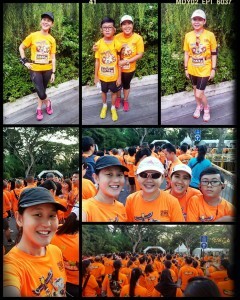 Once all of us had completed, we made our way to the Runners Entitlement area which was near the carnival area. That was quite a distance away but along the way there were nice photo boards and mascots we could take photos with and capture the memories of our first Safari Zoo Run. 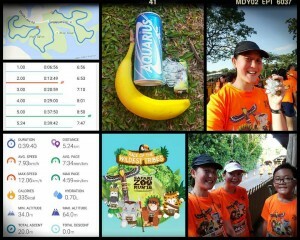 The collection of Finishers medal, drink and banana were done in a fast and orderly manner! Once that was done, we rewarded ourselves with breakfast at the Ah Meng Kitchen. 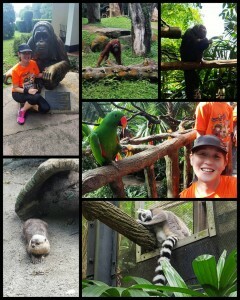 After breakfast, it was the moment that we were waiting for, the zoo visit !!! 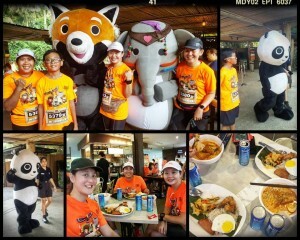 Overall I had a fantastic first experience of the Safari Zoo Run and I really enjoyed every moment of it. However, I do have some suggestions for future runs. One consideration would be to include more things in the goodie bag. It was a bit disappointing when we only received 2 vouchers and the race tee in it. Another suggestion would be to just have race categories that didn’t include entrance fees to the Zoo nor River Safari as some of us already have Friends of the Zoo Membership. This would make it more affordable for runners who consider cost to be a factor. I do look forward to the next Safari Zoo Run in 2017 and would definitely recommend it to my friends.